Trained as a luggage packer for wealthy Parisian families, Louis Vuitton opened his first store in Paris in 1854, soon after he had introduced a revolutionary new steamer trunk using leather and lightweight gray Trianon canvas. Before these flat-top trunks, travelers used round-top trunks, which deflected water, but could not be stacked. Vuitton's luggage was a success among world-traveling aristocrats, such as French empress Eugénie. The now-renowned luxury goods company opened its first store in London in the 1880s. To combat knockoffs, it replaced the Trianon with beige-and-brown checkerboard Damier canvas, with a monogram reading "marque L. Vuitton deposee," meaning "L. Vuitton registered trademark." After Vuitton died in 1892, his son, George, took the helm, and led the company to international success. George created the iconic Monogram gold-on-brown canvas with the quatrefoils, flowers, and "LV" logos. Based on Asian-inspired designs that were popular with Europeans in the Victorian Era, the design was launched in 1896 and patented globally. In 1901, the company introduced the Steamer Bag, a little piece of luggage meant to be carried inside larger trunks. Some consider it an early predecessor to the handbag. In 1913, Vuitton opened the world's biggest luggage store in Paris, as well as boutiques around the world. The bags, recognized as status symbols thanks to their immediately recognizable Monogram print, got progressively smaller and more flexible, and in 1930, Louis Vuitton produced the Keepall, a smaller travel bag with two handles. Its first popular handbag, the bucket-shape, drawstring-top Noe, was actually designed to hold champagne bottles when it was introduced in 1932. The 1930s Speedy, however, was designed as a purse, with a zippered top and heavy leather handles. Both featured the LV Monogram as their pattern. World War II is a murkier period in the company's history. A 2004 book by Stephanie Bonvicini asserts that the Louis Vuitton company, under the leadership of his grandson, Gaston-Louis Vuitton, cooperated with Nazis while France was occupied by Germany during the war. But these allegations have not been made until recently. In the 1950s, the Monogram canvas was redesigned as a more supple material for suitcases, purses, and wallets. By the 1960s, counterfeiters were going wild trying to copy this famous print, an issue the company has struggled with ever since. The 1980s saw Louis Vuitton sponsoring its own yacht race, the Louis Vuitton Cup, and also expanding deeper into Asia. Its famed lightweight and supple Epi leather line appeared in 1985. Later in the decade, the firm consolidated with high-end liquor companies Moët Chandon and Hennessy to form luxury lifestyle behemoth LVMH. In recent years, designers have had fun playing with the Monogram canvas, from making it smaller, as in the 1999 mini monogram line, to covering it with graffiti, as Stephen Sprouse and Marc Jacobs did in 2001. In 2003, Jacobs and Takashi Murakami came up with the Multicolored Monogram in 33 different colors on a white or black background. Murakami also invented the limited-edition Cherry Blossom pattern, which interspersed cartoon faces in pink and yellow flowers. The company, whose travel bags are still made by hand, is popular with modern-day celebrities such as Elizabeth Hurley, Sharon Stone, Kanye West, Kate Moss, Naomi Campbell, and the Beckhams. Introducing the Louis Vuitton Saint-Germain BB Bag. The smallest size for the Saint-Germain, is also made of the iconic Monogram Empreinte and smooth calf leather. It has an adjustable chain strap that can be worn on the shoulder or across the body. The interior is made of microfiber lining and includes an open pocket. The bag features the S-Lock closure. The Saint-Germain BB Bag is perfect to use from day-to-night. The St Germain bb has been on my mind since i tried it out in the store last week. It was super cute and I fell hard the moment I set my eyes on it. But does anyone think it's super expensive? It's even more ex than an alma bb in epi. And it's really small. 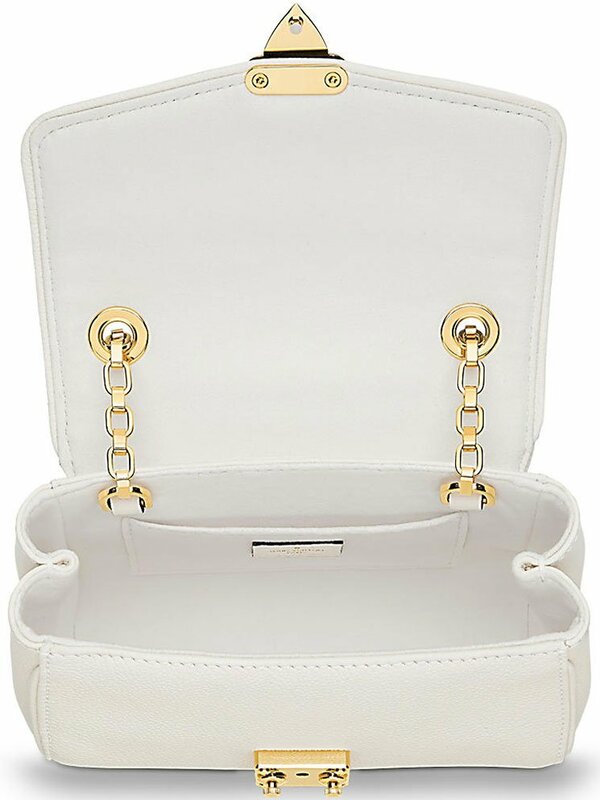 It can hold my chanel wallet / or zcp, the iphone 6 and some cosmetics easily though. It looks so luxurious to me with the gold chain and all...and the length of the chain is perfect for me as i'm really petite. 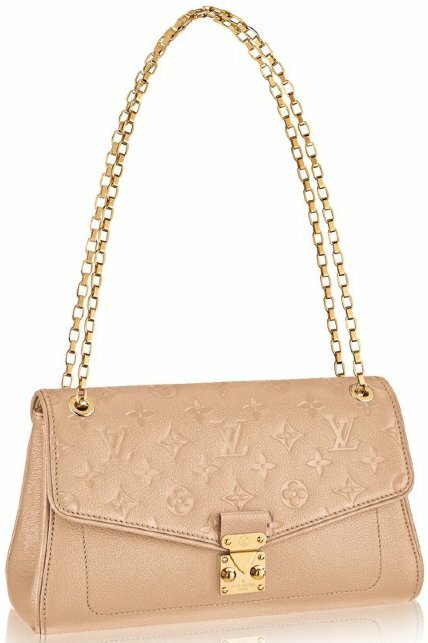 What does everyone think of this new cutie on the LV block? I've attached a pic just in case you haven't seen it yet. In every great bag lies an amazing story, so let’s talk about the new Louis Vuitton Brittany Bag for a second. The name Brittany is inspired by cultural region in the northwest of France. Before it was united with France, this region was an independent kingdom. Brittany has also been known to as ‘Little Britain’, as opposed to the Great Britain as it is bordered by the English Channel to the north. This lovely is considered a new status bag from Louis Vuitton. It’s sophisticated and feminine, crafted with contrast pairing of Damier Canvas and Cuir Taurillon leather. The house’s craftsmanship shines in the handle mounts, gussets and keybell. Obvious, the leather part of the bag is on the sides, while the Canvas is decorated on the front. But note the bag’s curvy shape, the side is flexible so you can carry more essentials while the bag remain small and cute. I love the top part where the bag snaps together and close. It’s refined with a mini plate printed with the brand’s signature ‘Louis Vuitton’, very touchy and vintage-like. The interior features 2 large side compartments with magnetic closing, central zipped compartment with double smartphone pocket, so there are enough room to structure your essentials. The Louis Vuitton Brittany Bag also comes with a removable shoulder strap. Measuring 11.8′ x 9.1′ x 5.1′ inches (L x H x W), priced at $2490 USD, €1780 euro, £1570 GBP, $3100 AUD, ¥293760 JPY via Louis Vuitton boutiques. Introducing the Louis Vuitton Fall/Winter 2016 Bag Collection. The new collection features the handbags that were presented in the runway show which includes new designs such as the City Cruiser and City Trunk. These two styles are miniature versions of the brand’s vintage travel bags. Also new this season is the chic Camera Box, a small boxy bag with a top handle and the Atlantis bag, a hobo bag which includes an additional shoulder strap. While the classic City Steamer Bag is now available in East West shape, as well as Clutch style. This Fall, Louis Vuitton introduces the Monogram Reverse which is the iconic Monogram Canvas in inverted colors. Wild Animal print and World Tour Stickers are also featured in the brand’s latest bags. The Louis Vuitton Icon and Iconoclasts Collection turned a lot of heads when it was announced, mostly because of the perennially bold-faced names from the worlds of fashion and design that had signed on to participate. Louis Vuitton tasked fashion designers Karl Lagerfeld, Christian Louboutin, Rei Kawakubo, as well as architect Frank Gehry, photographer Cindy Sherman and industrial designer Mark Newson with creating artful fashion pieces using the brand's signature monogram print, and now we know what each of them did with the challenge. It was rumored from the beginning that Lagerfeld, perhaps the project's most surprising participant, would make a punching bag, and not only that, but it'll come in three sizes, hang with handbag-like straps on its included stand and also function as a regular handbag. For more serious training, a full-size punching bag and storage trunk, both covered in monogram canvas, are also available for an undisclosed price. To finish out the theme, a set of boxing gloves and their weekender-like case are also part of Lagerfeld's capsule collection. Louboutin and Sherman went in particularly colorful directions with their contributions, while Kawakubo was as weird as you'd expect her to be and Gehry was duly architectural. Newson's fleece-paneled backpacks were easily the most wearable of bags in the collection, a sensibility that should serve him well at his new employer: Apple.